29248 Lotus Circle Menifee, CA. | MLS# SW19064505 | Temecula, Murrieta, Menifee Homes for Sale & Property Management! 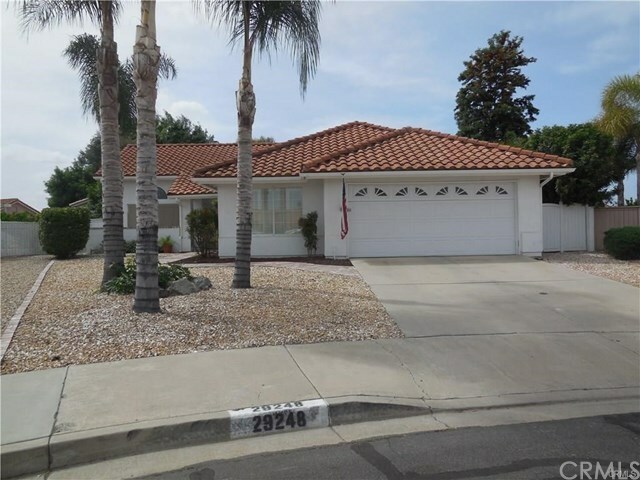 Absolutely Gorgeous home on extra large lot at end of culdesac, located in a 55+ Community. 2 Bedrooms, one has Murphy's bed, 2 bathrooms, 2 Car Garage, extra room that is now a craft room could also be office/computer room, lovely bright living room with fireplace and 2 sets French doors looking out to a huge fenced yard, Kitchen windows over the sink looking out to lush very private rear yard landscape with trees and shrubs, 2 sheds one homemade by seller with electricity and small A/C, great for that handyman, and one metal shed Large wrap around covered patio. This house a must see! Close to shopping, restaurants and Hospitals.